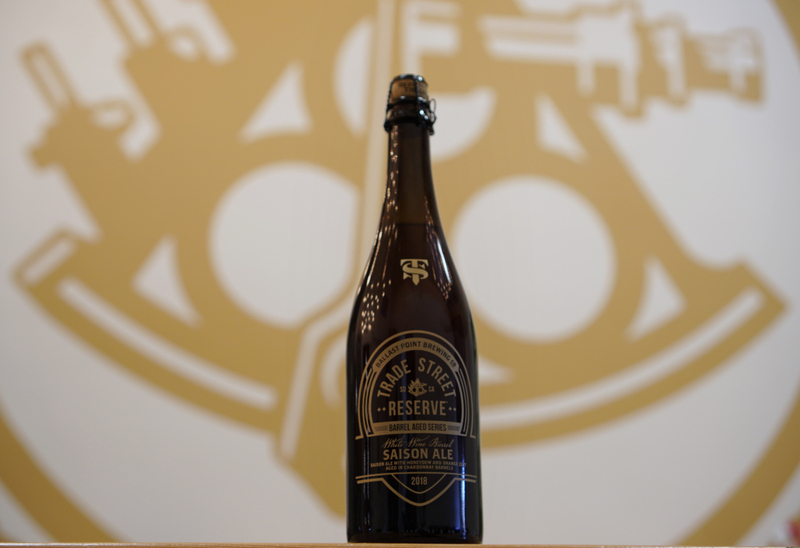 Relaxing in French & Hungarian oak chardonnay barrels for over 8 months, this Saison is a mouthwatering medley of crisp pear, stone fruit, and earthy yeast notes with a sprinkle of allspice and pepper from the oak. Swirl the glass and soft floral aromas will emerge, along with a squeeze of sweet, ripe honeydew. It’s like freshly cut fruit and buttery chardonnay in a glass.